Are you worried that your digital skills may be out of date? Our guest blogger, Nikki Cochrane of Digital Mums, gives advice on updating your digital toolkit if you've had an extended career break. Returning to work - whatever your situation - is a daunting process. Couple that with the dreaded imposter syndrome us women seem to feel more than our male counterparts and it’s a surprise any of us pluck up the courage to dust off our LinkedIn profile and put ourselves out there. But as the well-used saying goes, knowledge is power, and in today’s ever-advancing world of digital, it’s confidence-building too. With government predictions showing that 90% of jobs will require some digital proficiency within 20 years but a quarter (23%) of adults still lacking basic digital skills, it’s time to take control of your career and bring your digital toolkit right up-to-date so you can dazzle prospective employers with your digital know-how and feel empowered in the 21st century workplace. Post-its meets wallchart meets calendar. Finally there’s a collaborative tool that allows you to organise your weekly and daily tasks, tag in work colleagues, link to documents, colour code by priority (goodbye, highlighter pens), add notes and checklists to yours and other people’s boards and change priorities with a quick click and a swipe. It’s so effective at getting even the most disorganised organised that you’ll be using it to sort out your life admin in no time. Forget standard video updates and past-it PowerPoints, TouchCast puts the fun into presenting. Best described in their own words: "TouchCast looks like TV and feels like the web". There’s a newsroom style backdrop for company updates or you can turn instant pro by using a green screen to transport you to any backdrop in the world. To aid engagement and bring to life presentations, you can share documents, web pages, and other media from within the video to get people interacting - the best way to learn. OK, so it’s not the newest of digital tools, but used correctly and it is your key to finding the job of your dreams. As well as making sure you’re picture perfect (your profile is 14x more likely to get views with a photo than without one), LinkedIn is all about attracting the right people and growing your network to achieve your career goals. As well as following companies you’d like to work for and engaging with people who can help you get there, share articles on your chosen subjects and spark conversations by adding your own spin on what you’re sharing to attract like-minded people. Head in the cloud? That’s exactly where it should be in today’s working environment. Google’s free suite of Word, Excel, Powerpoint and Outlook equivalents are saved in the ‘cloud’ meaning you never need to worry about forgetting to press ‘save’ again. It automatically saves as you go and let’s you share documents with other people to work on at the same time. You can even chat in the document while you’re working. Google Meet meanwhile, makes remote working less remote through group video calling where you can share screens to get as close as possible to an ‘IRL’ meet-up. Nikki Cochrane is co-founder of digital training academy, Digital Mums. 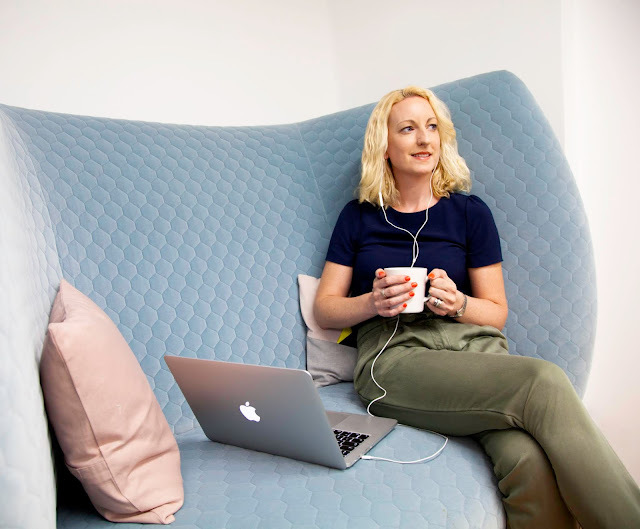 If you want to learn more about these tools and more, Digital Mums has launched a new 12 week course, the Digital Retox, which aims to empower women with digital confidence in the workplace. As well as updating your digital toolkit, you’ll learn how to develop your own personal online brand so you feel current, relevant and empowered to return to work. For more information and an Early Bird discount, click here.